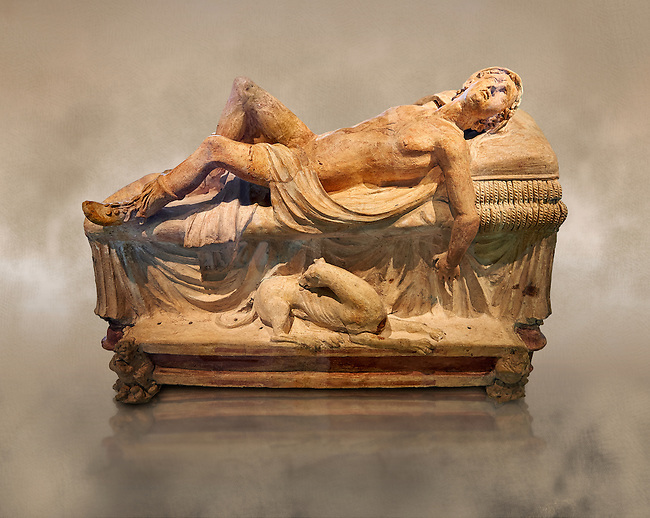 High picture of the Etruscan funerary monument known as Adonis Dying, late 3rd century BC, made of terracotta and discovered near Tuscania, inv 14147, The Vatican Museums, Rome. Grey art Background. For use in non editorial advertising apply to the Vatican Museums for a license.